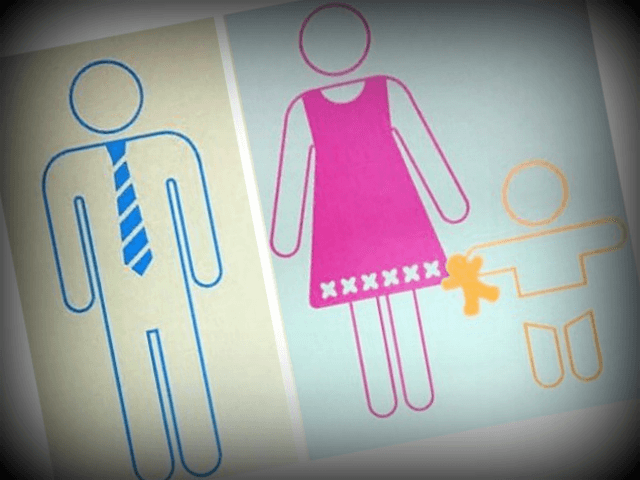 Police ‘Hate Crime Ambassador’ Sergeant Peter Allan has praised a complaint about toilet signs depicting a woman and baby, asserting that the ‘sexist’ imagery “should not be happening in 2017”. The ‘Trans Equality Advocate’ at Sussex Police took to Facebook to praise shopper Sharon Sawyer after she wrote to Marks & Spencer to demand the store makes its signs for the men’s and women’s toilets “more equal”. Writing on the company’s Facebook page, Sawyer said she felt “surprised and disappointed” at two toilet signs in the Shoreham store which depict a woman with a baby, and a man on his own. “I expected being a family store that you understood that families very much share children’s needs and personal care, not just women,” she said, and urged Marks & Spencer to either add a picture of a child to the men’s toilet sign, or remove the depiction of a child on the women’s sign. In a reply to the complaint, Sergeant Allan described the signs as a “surprise”, reporting his having “had conversations with Tesco and Sainsburys about issues of gender identity”. Good Housekeeping reported on Wednesday that Marks & Spencer have agreed to update the signs, adding an image of a child to both male and female designs. Sergeant Allan came under fire from Twitter users on Thursday after the Hate Crime Sergeant posted that police were investigating a “non-crime hate incident” that consisted of “name calling between children”. A number of replies urged Sussex police to spend less time on “name-calling”, suggesting that issues including grooming gangs, knife crime, acid attacks, and female genital mutilation (FGM) should be of more pressing concern to the force, whilst others asked the sergeant to define a “non-crime”.